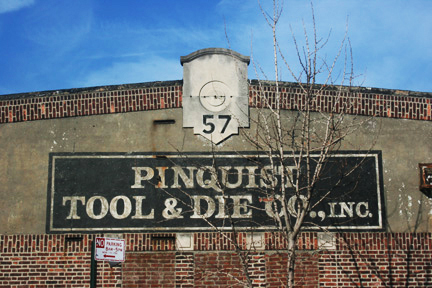 Greenpoint’s historic factory buildings and modest workers’ housing are strong reminders of Brooklyn’s role as a powerful industrial center during the last half of the 19th century. Join Andrew Scott Dolkart – professor, architectural historian, and director of Columbia University’s Historic Preservation program – as we tour this fascinating neighborhood and take in the industrial heritage displayed by its many extant historic structures. Cosponsored by the Historic Districts Council as part of the Six to Celebrate program. This entry was posted in Uncategorized by preservationgreenpoint. Bookmark the permalink.